Really neat action-puzzle concept. I liked the X mechanic for setting up combos once I figured it out! Thanks! I need to make the movement mechanic more apparent, I think. The base idea is cool but it seems we can spam our way through the game. As there is no variation on the base idea, it gets kinda repetitive after a couple games. I kinda like the visual style. Also it would be cool to see how our score is doing while playing and not have to wait till the end. Very simple and interesting. Great job!Love how your text looks, what font is that? Glad you liked it. 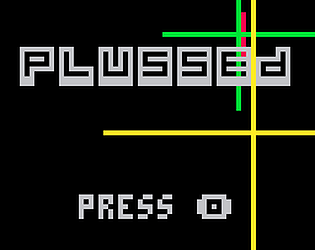 Most of the text is just the standard PICO-8, except for the title, which I did by hand. Having a different chime for the 2, 3, and 4 matches is a nice touch. Great game, my best score was 388.